Conversation overheard between an ambitious grad student and a simpleminded process-relational philosopher . . .
Jake Wanano-Everton: Sir, where do you draw the line between what’s real and what’s not real? Prof. Noah Fewthings: The only things that are real are the moments of experienced reality — drops of experience, let’s call them — pulsing through the vector stream of the universe right now. There are lots and lots of them, too many to count: what you and I are experiencing right now are only two, or more accurately some, of billions and billions unfolding at this moment. And this one. And this one. They are all that’s real; and they are irreducibly real. The ones that have passed are no longer real, except insofar as they contribute to those drops happening right now. The ones that haven’t occurred yet have never been real, except insofar as they suggest the shapes the right-now drops might take. Jake: Wait a sec… If only the “drops of experience” are real, what about all the objects around me — this table, this wall, this T-shirt? What about the myriad forms of the world that we know maintain themselves over time — the road and traffic noises outside, the university, my cell phone, the government (which we know can be shut down, and how can you shut down what’s not real? ), the solar system? What are they? Surely they aren’t reducible to our experience of them? Noah: I didn’t say anything about “our” experience, or about reducing anything to anyone else’s experience of it. All those things are what they are. I can’t experience their experience, but I know what they look and sound and feel like to me (if anything at all), and that’s only because they register in my sensory system as such and such a thing. My perception of them is not them. But it does arise from my interaction with them. 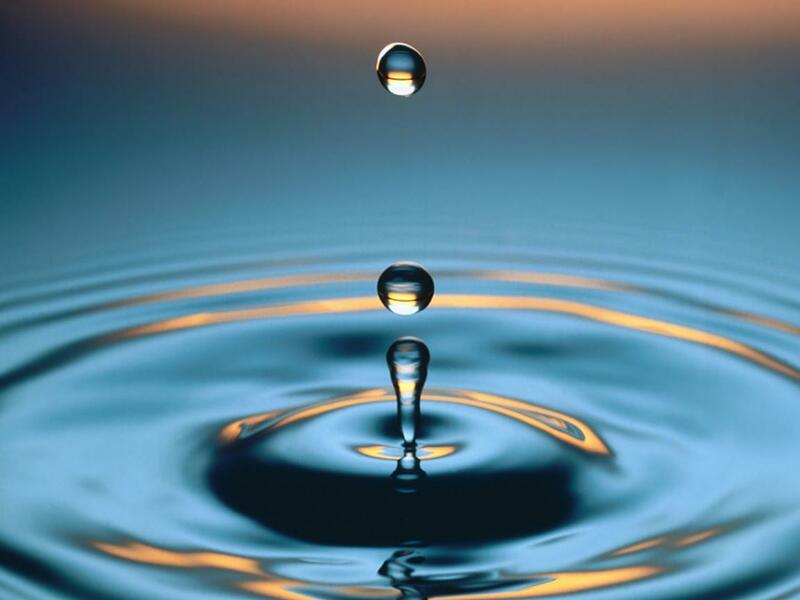 As for those “things themselves”… All that’s real about them are the drops of experience pulsing through them. If those drops act predictably and in concert, maintaining themselves for periods of time, that’s because that’s what they do. Take this table here: it’s nothing, really, except for the drops of experience that, at some level (I don’t know which one — atomic, subatomic, molecular, all of the above, whatever), actively perpetuate themselves. I’m guessing they do it pretty slowly and consistently, enjoying the habits that keep themselves active in precisely the (atomic, subatomic, molecular) ways they like to keep themselves. This particular electron down here in this tiny atom making up this piece of hardwood just enjoys its particular orbital and feels no need — really has no ambition, or even the idea that it might someday dream up that ambition — to move into a higher or lower quantum orbit than the one it’s inhabiting right now. Jake: Okay, so you’re saying that things are what they are, and the only things we can know about them (except for our own experience) is what happens in our interaction with them. That’s fine. But when you say that all that’s real is the experience — inner experience, I presume — are you suggesting that the material world is unreal — illusion, delusion, mass hallucination, hocus pocus, samsara, whatever? Noah: Not at all. I said that what’s real are the “moments of experienced reality.” That means that reality is real, and that reality consists of experience. I don’t mean to suggest that it’s anything like what we imagine to be our, human experience. I just mean that there’s activity — registration of things and responsiveness to them — involved. That, at least, is the view called “panexperientialism.” It’s not the only possible view, but let me continue with it for now. Whatever “experience” is, it is not merely subjective, because no experience is ever alone, separate from all other things — it’s always experience of something. And those somethings, the objects of experience, are always what’s left behind from previous moments of experience (in one form or another, even if they have remained seemingly dormant or unexpressed — and “dormancy” is just a matter of difference in the experience of time — or if they have remained merely “mental” objects — which, by the way, always means neural and lots more, not just something completely separate from the material). Any moment of experience — any drop of reality — is an interaction. It follows a certain process — a reckoning or “prehension” of what’s there, a response to that, and what Whitehead called a “concrescence,” which refers to the way in which that moment gets wrapped up so that it’s available for other moments at the very moment that (or just after) it’s achieved its momentary “satisfaction.” So the ideal and the material, the subject and the object, the subjective experience and the objectivity experienced, are all wrapped together in every drop. Jake: Okay, I don’t quite get it, but let me move on to another problem I have with what you said. You mentioned that the future moments, or drops, aren’t real “except insofar as they suggest the shapes the right-now drops might take.” If they aren’t real, how can they possibly be suggesting anything to anyone? They’re not real, ergo they can’t suggest anything. What gives? Noah: Ah, that’s where we have to distinguish between what’s really real — what’s actual (let’s give it that technical term) — and what’s virtually real. Both are real, just in different ways. There are no shapes being suggested; the shapes aren’t real. But there are suggestions that might take certain shapes. Those suggestions are built into the structure of reality — the structure of the same “drops of experience pulsing through the vector stream” reality that I described earlier. The suggestions are like the actual potentials that could be activated at a given moment, but only some of which will. (Deleuze calls them “virtualities”; collectively they make up the “virtual.” Stuart Kauffman calls this the “adjacent possible.”) And there’s a structure to those adjacent virtualities. Jake: But how are they “built into” reality? How do they make a structure? Noah: Well, why wouldn’t reality have some structure — some patterned interactions between things that give rise to propensities and enable certain options (while foreclosing others) for the next moves of the universe? Every drop of experience is actively negotiating the past that it inherits (as data for its negotiation) and the structural conditions that enable its negotiation (its reckoning, its prehension of those data, as Whitehead put it). And many, perhaps most, of those drops interact in concert, to some degree or other, with others. If you add them all together, you have a pretty complex universe. Jake: Whoa… Alright. So we have a complex universe. But somehow all that’s real is just this one moment of experience — for me — and one for you, and everything and everybody else — and these moments of experience, which are both material and ideal, or some mix of the two, are decisive in passing things on to the next moment, and so on and so forth. I guess I don’t buy it. I think there’s more: I think there are categories of things: some things are like what you describe — active, experiencing entities, “agents” — but some of them aren’t experiencing, or deciding, or acting in any way. They just are. Noah: Yes, that would be a non-panexperientialist view. The problem with that is to account for what those things are doing if they are not doing anything. By my account, everything does — at its own rate, within its own capacities. If it ain’t doin’, then it just ain’t. By definition, any being is a becoming. Maintaining one’s body while one sleeps a dreamless sleep involves billions of things continuing to do stuff. Maintaining the rockness of a rock is something that is done; it takes work — though I’m not sure what it is that does it, or at what “level” that doing happens. And the result of all that doing is the universe we all — everything in the universe — collectively experience. Some things appear solid and unchanging to entities like us humans, but it’s because we’ve evolved to perceive them that way. It’s useful for entities to not be able to move through rocks or glass or water or carbon- and nitrogen- and oxygen-rich planetary atmospheres the way other entities (say, photons or electrons) can. That kind of constraint results from the membranes and formal properties those entities have taken on as they evolved into things that can move around, ingest other things, reproduce, organize into collectives, and so on. Logically, on the way to becoming those kinds of entities they had to develop sensory capacities that told them, “Hey, don’t try to walk through that wall; you won’t succeed.” So that wall appears solid to them. And when they look down over a cliff (and they don’t have wings to fly), they feel dizzy. But that doesn’t stop the wall — or the air below them on that cliff — from being equally made up of molecules and atoms that, at their core, are some phantasmagoric energetic latticework that I will never be able to see with my own eyes. And even that’s not accurate — it’s just what the tools developed by our particle physicists tell us things look like at that level. We still have no idea what it feels like to be an electron, or a quark, or a neutrino, or even an atom. Panexperientialism simply posits that if it’s real, then it feels. It feels like something, even if we may never know what that is. Jake: Okay, fine. Electrons feel, but we’ll never know what they feel. And we’ll also never know if you’re right or not. Let’s take another tack here. If we have all this complexity, how is it that a single experiencing thing — can I call it a subject? an agent? — decides something at all? How could I, or you, or anyone, deal with all that complexity? How can we impact anything beyond a simple, tiny drop of experience becoming another drop of experience? That seems to reduce me to something so small as to be irrelevant in the grand scheme of things. I want more from a philosophy. I want to be able to change things — to redirect civilization, not just an electron, into a better orbit, if not by myself then at least by working with others. Does your philosophy tell us how to do that? And if not, then who can? The first of these, “habit,” is something very basic. In social terms, it might make sense to speak of “tradition” instead — by which I mean a very complex array of habits and practices. In more stable times, tradition tends to be a reasonably good (but not infallible) guide to action. But in times of rapid change — and of clashing traditions — traditions have to be renegotiated. But first we have to understand what tradition is: it’s a complex array of guidelines, motivating mechanisms, methods for psychological and neural entrainment, social checks and balances, and plenty else, all of which have served as reasonable means of moving forward on things — for staying alive, making collective decisions, mollifying potential conflicts, keeping society together, negotiating with our surroundings, and all that. Knowing this about tradition means we can reinvigorate it and find new uses for it, without chucking it all out the first chance we get. Habits get us pretty far in life, and they develop as adaptive responses to situations. But situations change, so habits, and traditions, need to change. Before we can change them successfully, we need to have a sense of what it is about them that should change, what it is that serves us just fine, and how the two are connected together. Creativity, on the other hand, requires something different: a willingness to step out of bounds, and an intuitive sense of where it might be worth stepping. Creativity can be random, as Darwin surmised, but most of its steps will err on the side of error rather than trial. Successful creativity takes practice — which means that it also has its “traditions,” its means of cultivation. Studying how other people and groups have done that — how they’ve responded creatively to their challenges and devised new means of negotiating them — makes for a good start. Then doing it, through trial and error, but with an eye for impact (on the world around us) and fairness (among us), is the next step. “Science” is a name for one way in which our society — we “moderns” — have devised to do both of these: how to test out tradition (traditional beliefs, traditional means for doing things, hunches, collected observations, and so on) and how to share information about the results. So in addition to tradition (which includes the study of “the humanities”), and creativity (which includes the practice of the arts), there is science. Jake: Hold on a second… You spoke of impact, and fairness. You’re resorting to normative terms here, but how do they arise out of your philosophy? Let me get more specific. There clearly are some processes that have gotten completely unplugged from any assessments of impact and of fairness. Capitalist economic relations, for instance — they just seem whacked out. Take Wall Street, with its hallucinatory mechanisms for producing wealth — which isn’t really wealth at all because it’s so unplugged from material reality, and because it’s, at best, a redistribution of wealth to create bigger winners, like Wall Street sharks, and bigger losers — like working people, people who do the dirty work of digging up the resources the others buy and sell, people who aren’t even born yet but who will suffer if we make the climate less habitable, and all kinds of other critters, whose ecosystems are collapsing as a result of all that. Capitalism is a system that allows Wall Street’s skewed priorities to drive decisions about life and death, about health and education, about where to put our resources and what to let die. How could your philosophy help us dismantle capitalism? Noah: You really want my philosophical system to do everything for us, don’t you? But it’s not intended to provide answers to these big challenges; it’s just intended to help us understand what’s going on. When we face a challenge, what are we doing? We’re taking account of the givens — the social and ecological relations (among others) that we are dealing with — and of the possibilities that our actions might further (or curtail). Most of our problems come from a not-very-thorough accounting of either of these: of either what’s there to start with — our relations with others, our potential impacts on those others — or of what possibilities are open to us. Dismantling capitalism may be a great goal, in principle, but before we dismantle it we need to know what it is and how it relates to everything else. What will my effort to dismantle it — my revolutionary call to tear down the state, or to blow up Wall Street — do to all those relations it will affect? Thinking these things through doesn’t mean we shouldn’t act. It just means we shouldn’t delude ourselves into thinking we’ve cornered the enemy when the enemy might be a lot more deeply ingrained, or may not be the enemy per se. The response to capitalism I would advocate is something more like: let’s build alliances and alternatives, get people on board, remake the world step by step, creatively but without eliminating the habits and traditions that serve functions we aren’t even aware of. Let’s do it in ways that enable creativity, that express joy, and that spread compassion. Jake: Wait… Where does this compassion come from in your philosophy? I was thinking quite the opposite: that your philosophy — by saying that only the experiencing entities at this moment are real — suggests that the past doesn’t matter, and that therefore if things go bad — if we step on a few insects, kill a few people, destroy some ecosystems, whatever — these aren’t bad acts per se, at least not once they’ve happened, because those entities are no longer there. They’re gone. There are no regrets in this perspective (which I think I could get into!). “Go with the flow.” “Be here now.” Forget about what could have been, or what that person we just ran over — or that indigenous culture, or (hey!) that capitalist elite — was hoping to achieve with their lives. Those lives are over. To make an omelette you gotta crack some eggs; once they’re cracked, they don’t mind it at all. Okay, maybe I’m oversimplifying. You might say that it still matters if we stamp out a culture, because we’ve lost some traditions or habits that were developed to deal with certain environments, so our task will now be more difficult. Or that killing someone has an effect on those who are left — it spreads a sense that life is cheap, and leads to vengeance and cycles of violence. I get that. But that’s instrumental, utilitarian thinking. Doesn’t your philosophy suggest that compassion — even if it does logically follow from your philosophy, and I’m not convinced of that — only applies to real, experiencing entities right now? And, anyways, since “right now” just passed and there was no way I could act on that compassion in any substantial way, what’s the point of doing anything at all? I prefer a philosophy that has a goal, a mission, something tangible to strive for, and a way of evaluating whether we’ve succeeded or failed. Jesus, Marx, Bakunin… Where does yours fit in with goals? Noah: Here’s where my philosophy shares a lot with Buddhism. The Buddha’s insight into reality — and really the whole selling point of Buddhism is that Siddhartha gained an insight into reality that can liberate anyone who genuinely experiences it — was that things aren’t the solid, tangible, possessible things we think they are. Nor are we. Flow is everything, and it’s just our getting caught up in our misperceptions that leads to the desire to possess things. What ensues is . . . suffering, compounded upon suffering, compounded upon suffering. But what this means is that all of us are part of that wheel of misperception leading to craving leading to suffering, and that all of us also have the potential to get more caught within it — or to get liberated from it. It’s not about liberation from the world — at least not what we would call “the world” today — but liberation from that system of habits that perpetuate suffering. Buddhists assert — and it’s really a kind of leap of faith (at least for those who haven’t experienced the insight for themselves) — that once you see the nature of reality as what it is — as this flow of causalities made up of moments of experience following moments of experience — you naturally realize that that’s the nature of reality for everything and everyone. That this condition is shared by all of us. Experience — if not redirected toward liberation — tends to reproduce the conditions for suffering. The good news is that every moment provides an opportunity for that redirection. Every moment is an open moment — one that, on some level, is not fully predetermined, but is fundamentally open to a decisive act of prehension — a taking account of and a responding to — that could reconfigure things differently. Or at least it is that for those entities with the capacity to see that opportunity. Buddhism is about cultivating that capacity, acting on it, and extending it to others — who are fundamentally connected to us already, fundamentally part of the pain and the suffering that could be dispelled through appropriate action right now. And that’s the view that arises from a process-relational metaphysics as well. If everything is relational process, and if we — you and I — are in the midst of such process right now, then what can we do to make it good, artful, creative, and mutually satisfying? If we can develop our awareness of the givens and the possibilities of this present moment, and learn to tune into the qualities and possibilities of the stream of moments going on around us — cultural and collective moments — and act on that awareness without getting caught in illusions of this or that fixture, tag, or identifier — we could move mountains. Or climb them. But I think I’ve said enough. Now I ought to go put some of that into practice. Jake: Good luck with it, sir. I, for one, will continue to believe in a stable world of objects, and people, and in the causes I already subscribe to. They’re good enough for me. But I think we might be able to work together on some projects along the way. Maybe that makes me a bit more of a pragmatist than when I started this conversation. Noah: Pragmatism is the realist’s acknowledgment of the limitations of one’s knowledge. And limitations there always will be, as long as we find ourselves in a relational processual moment. Which means as long as we are real. Farewell, Jake. Thanks to Larval Subjects for that image.